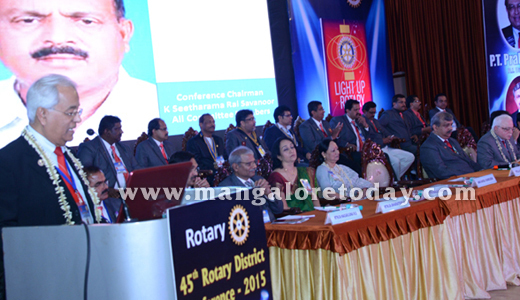 Mangaluru, Mar 01, 2015: Speaking at a meet on atrocities against women and their empowerment, after inaugurating 45th Rotary District Conference-2015 at TMA Pai International Convention Centre here on Feb 28, Karnataka State Women’s Commission Chairperson Manjula Manasa, said government is not serious about child trafficking in the country. Dowry death is still not a sensitive issue in society. Girls are being developed within fixed perceptions. Because of increasing atrocity on women, the ratio between men and women has gone down to 100: 85. Social Organisations should give opportunity for women and project their contribution to society. Government alone can’t achieve all ends. Manjula Manasa, who is also an advocate, said there may be 10 to 15 per cent of cases of misusing pro-women laws against innocent men, but it is woman who is the prime sufferer most of the time. Sexual harassment in workplace, foeticide has been increasing. 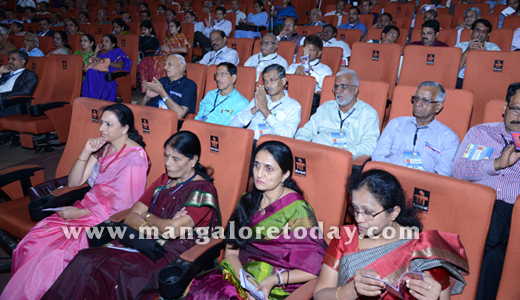 Child marriage is not absent even in Mangaluru, a matter of concern. There has to be multi faceted high end action. Atrocity originates in the homes : Manjula Manasa stated she believes that atrocities on women originates from her homes. She herself works as employee in her house without salary, she has to be custodian, clerk, nurse, and in all possible roles. She would be usually treated on a lower level as her role is not focussed in family. Women are considered cheap vote banks in elections for ages. "If things remain the same the whole nation will suffer further," she said. 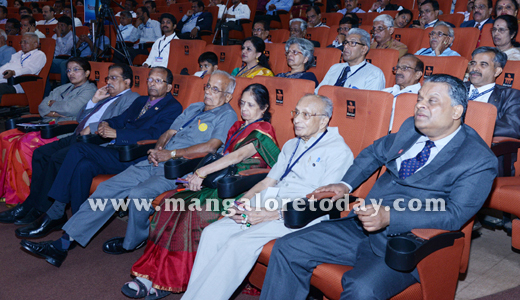 Prior to the meet, Rotary Foundation Trustee Sushil Gupta inaugurated the two-day event. He said under Chennai declaration, Rotary Foundation has agreed with Centre to build 10,000 toilets in 10,000 schools of 34 districts of the nation.